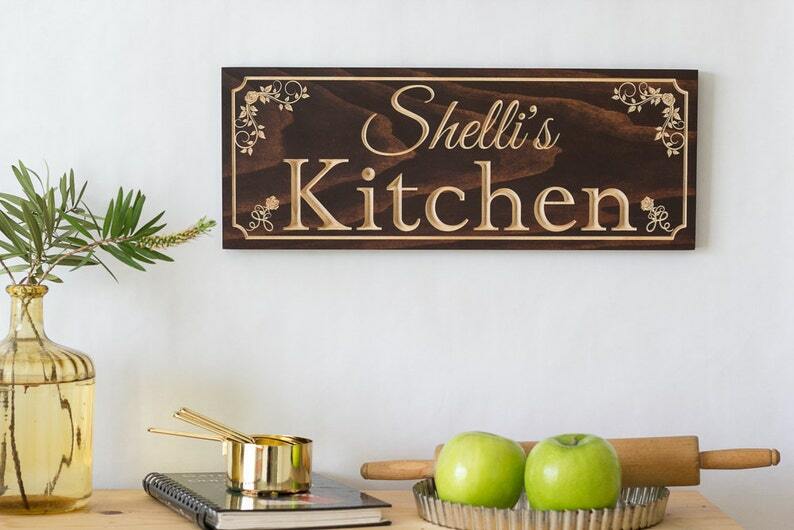 Our new kitchen sign is a great gift for your favorite chef! Our signs are sanded smooth and stained. This sign is cross-sanded to give it a more scratched and weathered look. 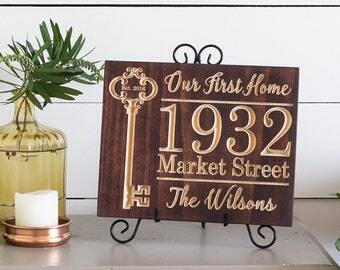 Very well made sign, accents our kitchen beautifully. Well Done! This was a Mother's Day gift for my mom, and she absolutely loved it! It's displayed proudly :). Very neat and clean sign, quick to respond after my purchase and arrived very safely packaged.